Rafal Living by Kempinski distinguished itself by presenting the first-ever lavish sky villas concept with 300 residential villas fully managed and serviced by Kempinski ready for inhabitance by 2018. Suleiman Al Jasser, CEO, Al Bilad Bank, said “such partnerships enhance the bank’s positioning in the banking sector and comes in line with its development role to achieve the preset objectives of the Saudi leadership and to meet our clients’ expectations. 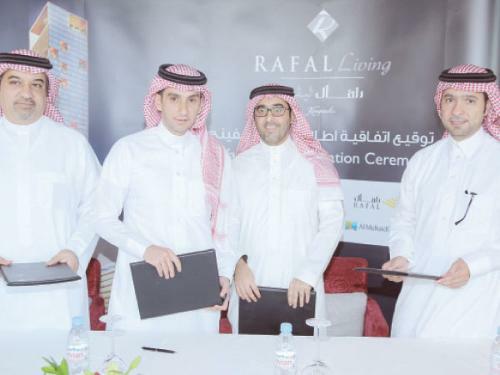 Majed AL Hogail, Managing Director, Rafal Real Estate Development, said “this project is an added value to the real estate industry and the safe haven for investors seeking investment opportunities and addressing the modernity of today’s residents.